Memory specialist OCZ Technologies has announced an update to its RevoDrive PCI-Express SSD, which greatly increases its speed and capacity. The aptly-named RevoDrive X2 connects up to four SandForce-based SSD modules to a single PCI Express x4 slot, promising speeds of up to 740MB/sec and 120,000 input-output operations per second (IOPS), some three times faster than rival SATA-based devices. Much of the increased performance comes courtesy of the four SandForce-1200 SSD controllers included in the design, which are internally connected in RAID 0 to increase capacity and throughput. While the original RevoDrive offered the same technology, it only had a pair of SandForce controllers. The RevoDrive X2 will be manufactured in the company's shiny new Taiwan SSD plant, enabling the company to churn out up to 140,000 of the new devices each month in capacities ranging from the 100GB base model to the 960GB top-end version. The design of the RevoDrive X2 is similar to that of the Wings PCIe SSD from the UK-based Angelbird, which manages to beat OCZ's latest creation in the speed stakes with claims of 1.02GB/s read speeds on the four-module model. UK pricing and availability for the RevoDrive X2 has not yet been confirmed. Are you pleased to see OCZ looking at high-performance devices like the RevoDrive X2, or would you prefer to see it concentrating on bringing out cheaper devices for more mainstream use? Share your thoughts over in the forums. 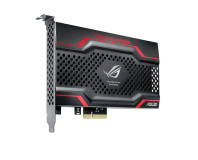 RAID 0 PCI Express board for gamers incoming. Texas Memory Systems has launched its RamSan-70, a PCIe SSD which hits 2.5GB/s. 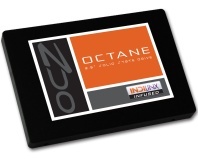 A new firmware for OCZ's Octane SSD series promises a doubling of IOPS performance on selected models.